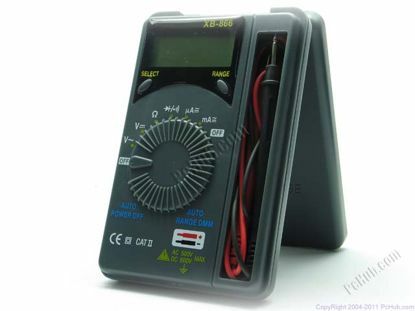 for DC current, it can measure as low as 10 micro amps and up to 250 mA, which is hard to do with a digital multimeter. 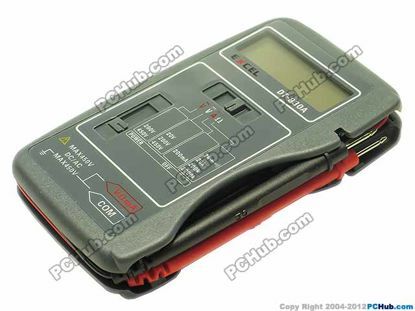 It has also 1.5 volts & 9 volts battery test ranges. It includes 7 functions with 25 rangs. Overrange protection for all ranges. Power supply: 9V Zinc-carbon battery. Polarity Indication:"-" indicates negative polarity. Overrange Indication: Display" OL" or "-OL"
Until showing of function and electrical capacity. The B-VC model of PowerBay is been used in the measurement of the consumption of AC active energy which with the frequency of 50HZ. It adopts the advanced microelectronics technology in data collecting, processing and protecting. It can be used in several conditions as in home, in rental estates, in office, in laboratory, and so on. This product used simply and conveniently, and shown clearly. It can be used in the monitor of power using equipments, such as the air-conditioning, the refrigerator, the energy-save lamp, and so on. Measurement of the active electric energy using. The current voltage monitored timely. The current active power monitored timely. The power factor monitored timely. The frequency of voltage monitored timely. Power using time in total can be record. Measurement of the quantity of CO2 which generated when power using. The overload threshold can be set, warning will happen when overload happened. Displayed by LCD which with large size. 1. 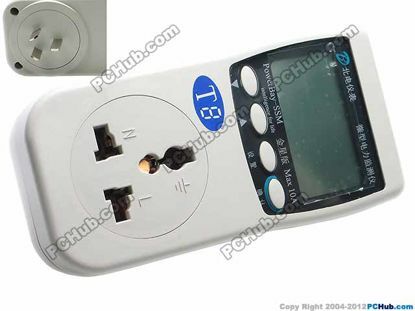 Plug in the powerbay set, and then plug in the power using equipments. 2. The total used energy, active power, current voltage, current, power using time in total, frequency, and CO2 generated can displayed on LCD. 3. LCD shown the active power value continuously when power on, the backlight lighted at the same time and will be off after 5 seconds. 4. 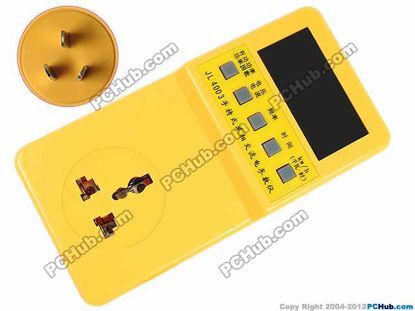 Display when press the buttons: The active power value, power factor, current, voltage, frequency, power using time in total, total used energy, and CO2 generated will displayed on LCD in cycle or reverse cycle when press the "▼" or "▲" button. 5. Warning when overload happened When the current power exceed the limited power quota continuously, warning will happen, backlight will blink and stopped after didn't overload for a few times. How to set the overload threshold: Press the "▼" or "▲" button until the current power value shown on LCD, press the "set" still for 2 seconds, now LCD show as "XXXX W" and the rightest "X" blinking. Press the "▼" or "▲" button until the blinking "X" shown as what number you want, and then press the "OK", this bit set accomplished. Now the next "X" blinking, set the following bits with the same steps. LCD shown the current power value after threshold set accomplished. The threshold value wouldn't more that 2200W, or else LCD will shown "Err1" for 3 seconds and the threshold should be set again. The B-Venusian model of PowerBay is been used in the measurement of the consumption of AC active energy which with the frequency of 50HZ. It adopts the advanced microelectronics technology in data collecting, processing and protecting. It can be used in several conditions as in home, in rental estates, in office, in laboratory, and so on. This product used simply and conveniently, and shown clearly. It can be used in the monitor of power using equipments, such as the air-conditioning, the refrigerator, the energy-save lamp, and so on. The current power using monitored timely. 6. Clear the power using time in total: Press the "▼" or "▲" button until the power using time in total shown on LCD, press the "set" still for 2 seconds, now the numbers on LCD blinking, press "OK", time clear accomplished and LCD shown the power using time in total. 7.Clear the power used in total: Press the "▼" or "▲" button until the power used in total shown on LCD, press the "set" still for 2 seconds, now the numbers on LCD blinking, press "OK", clearance accomplished, and the value of CO2 generated cleared too. LCD shown the power used in total. 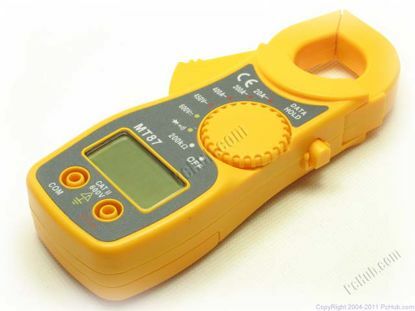 This clamp meter uses large scale integration and unique function circuits. 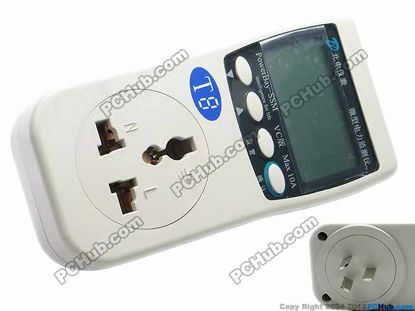 It can measure AC Voltage, DC Voltage, AC Current, resistance, and fulfill audible continuity test. 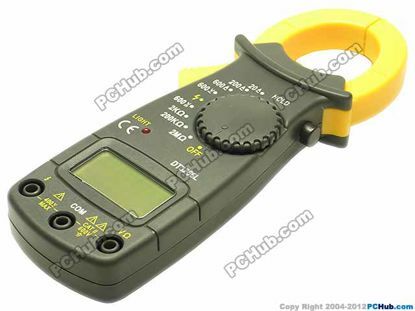 With the function of phase indication and identifying live-wire, this clamp meter is an ideal instrument for electricians. 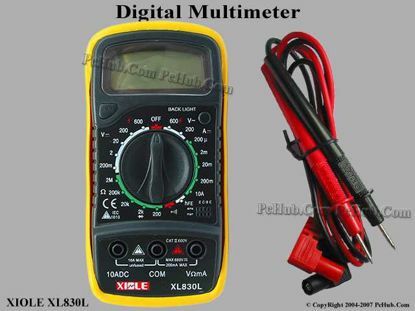 This is a pocket size didgital multimeter, you can use it to measure AC/DC voltage, DC current and resistance. 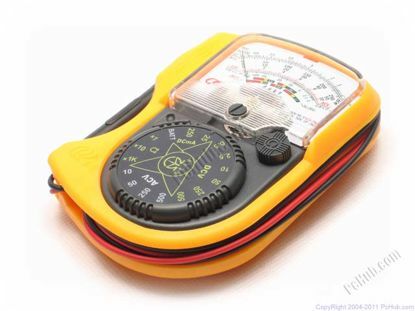 - The meter is handheld Digital Multimeter for measuring DC and AC Voltage, DC Current, Resistance, Diode and Transistor with battery operated.